With the new update of Note l!st you no longer have to worry about accidentally deleting an important note. The added “Deleted notes” folder shows all deleted notes before you choose to permanently delete or restore them. The update also adds higher resolution icons for use with high resolution devices and has improvements for the user interface. Fixed: The app would crash with an IllegalStateException when pressing back in the share dialog. Added: Deleted notes folder. Deleting a note will now first move it to the deleted notes folder, from there you can permanently delete or restore notes. This folder will auto hide if there are no deleted notes available. 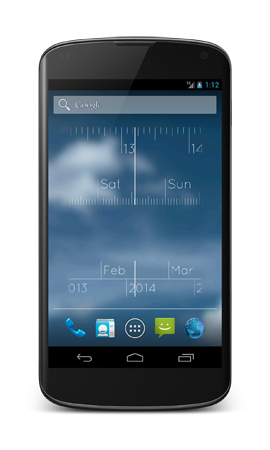 Added: XHDPI version of icons. Changed: The note content will now automatically capitalize the first word of a sentence. Changed: Some font sizes for tablet layout. Changed: Switched the save and discard buttons in the edit note screen. Changed: Back button setting is now only visible on tablets. Amazon, the Amazon logo, AmazonSupply, and the AmazonSupply logo are trademarks of Amazon.com, Inc. or its affiliates. Windows is a registered trademark of Microsoft Corporation in the United States and other countries. Google Play and Android are a trademark of Google Inc. Martin van Zuilekom is a participant in the Amazon Services LLC Associates Program, an affiliate advertising program designed to provide a means for sites to earn advertising fees by advertising and linking to amazon.com.